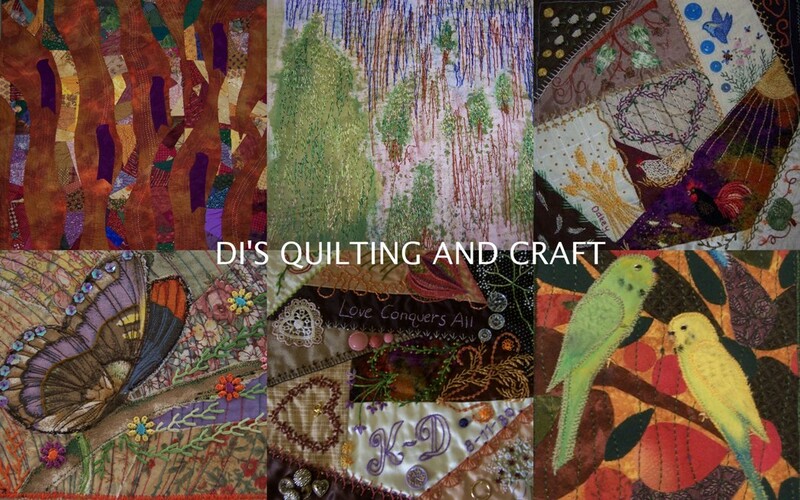 Organizing and making items for our springtime Quilt exhibition sales table. For several years now I have been co-ordinating and producing items for sale at our annual exhibition. This year, in a moment of temporary insanity, I put my hand up to "help" organize the whole exhibition! Well........now, after the other lady decided she couldn't help out at all, I am doing the whole darned thing. Acutally, I am quite enjoying it so far, but don't even come near me around the week before 20 September. We hold the exhibition at the same time as Toowoomba is showcased around the country by holding their annual Carnival of Flowers. It is the most beautiful time of year in this part of our splendid country. Bring on Spring!!!!!! The last couple of years, a friend and I have been doing a joint effort. This happened as a result of some kindly ladies giving us fabric they could not use at the local nursing home. 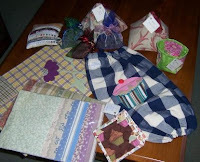 Thus, we started making "things" with these donated fabrics and our collaborative was formed. It has been such fun - and my friend is very imaginative and does beautiful work. 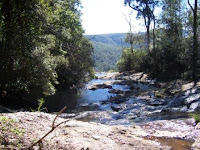 Speaking of our splendid country, last weekend we went into the mountains, away from the hustle and bustle of the Gold Coast, and enjoyed some fresh country air. 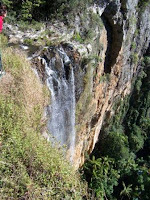 We headed up to Springbrook and the Purlingbrook falls for a picnic. Bliss. That is the Pacific Ocean you can see on the horizon. 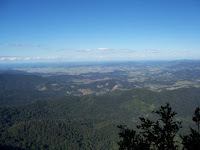 We were mighty high up at the "Best of All" lookout. 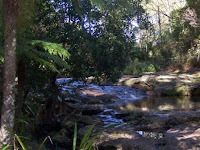 This valley leading down to the Gold Coast is called the Numinbah Valley. 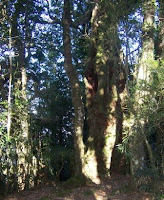 The tree on the far top left is said to be 2000 years old. I just wanted to hug it. 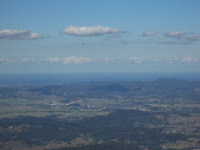 I love Australia!